Our pilgrimage continues with a journey from Jerusalem to the Dead Sea. Click on the top of the sea where we arrived at the beach. 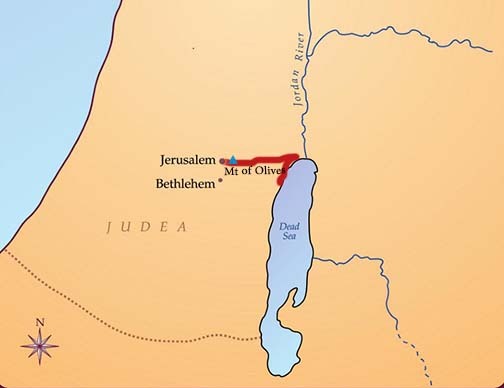 Next, follow our journey down the side of the Dead Sea and click where the red line ends. Finally, go back to Jerusalem, and click there.